This game will likely be crucial in deciding which of these two teams finishes 4th in the ACC and receives the crucial double-bye in the ACC Tournament that comes with a top-four finish. Both of these teams were dealt embarrassing losses to North Carolina, the presumed #3 team in the conference, recently, but they can rebound with a win here. I’ll side with VT here for a few reasons: First, they’re at home. The Hokies are unbeaten at the Cassell Coliseum this year, holding a 22 point win over Syracuse there earlier this year. Second, Louisville is coming off of their second double-digit home loss of the year, which is pretty demoralizing, and lastly, Nickeil Alexander-Walker is the best player on the floor, so even if Justin Robinson is still out, I like the talent the Hokies bring to the table. I always say never pick against a tough defense at home, and I’ll stick to that here. Despite six losses in Big 12 play, Oklahoma still has pretty solid standing when it comes to the NCAA Tournament thanks to their array of quality wins throughout non-conference play. They hold just one win against top-99 teams since the new yer though, a two point win over TCU at home, and here they run into my personal favorite team in the Big 12: Iowa State. The Cyclones have won five of their last six, the only loss coming on the road against Kansas by four, and right now they’d be my pick to win the conference if I were forced to choose, despite being a half game behind Baylor and Kansas State in the standings. Marial Shayok is the conference’s leading scorer, and freshman Tyrese Haliburton is the most efficient player in the entire country. Give me the Cyclones to go on the road and pick up a huge win in the Big 12 title race. 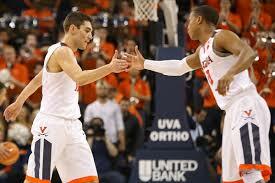 The ACC has five teams in the KenPom top 13 right now, and these two represent the “next tier” in the conference. Both look to be in pretty solid position to be top eight seeds in the big dance. Neither are locks as it stands right now, but each of their chances would probably be north of 80% to make it into the tournament. After a rough stretch in early January where they lost four of five, Florida State has rebounded winning three in a row, although the only top 80 team they played was a single-digit win at home. Syracuse, on the other hand, still has a shot at a top-four seed in the ACC Tournament and the double-bye that comes with it. The Orange are 7-2 in conference play, and a win here would move them into a tie for the #4 spot with Louisville. Florida State seems to have peaked early and trailed off, while Syracuse has done the opposite, and gets the home court advantage here. Give me ‘Cuse. The Big 12 probably isn’t the best conference in the country this year, but it certainly is the most interesting. Baylor and Kansas State currently sit at the top halfway through conference play. Baylor was picked 9th in the preseason poll, and K-State, despite starting the season as a top 15 team, fell out of the KenPom top 50 at one point. K-State has won six straight conference games since starting play 0-2, and the Cats are 9-1 in home games this year, including a 13 point win over Texas Tech a couple weeks ago. I’ve been lower on Kansas than the AP pretty much all year, they have a propensity to get in close games and barely escape, which catches up with you after a while, and they are 1-5 in true road games this year, including a loss to a sub-100th West Virginia team. I’m calling the upset straight up here, give me Kansas State to hand Bill Self his fourth loss of conference play, putting the Jayhawks’ incredible streak in jeopardy. Three ranked teams travel to face unranked, but still tournament quality teams on Wednesday night, starting with Maryland taking on Nebraska that is nearing panic mode. The Cornhuskers climbed as high as 13th in KenPom earlier this year before dropping five straight games over the past three weeks, including games to Rutgers and Illinois, the bottom two teams in the conference. They’ll be playing desperate here, but I can’t in good conscience pick a team on this cold of a streak, especially one that actually has zero wins vs top 40 teams all year. Give me Maryland on the road. The Terps have proven that they can win away from home this year (Ohio State, Minnesota, among others) and I see them continuing that streak and staying in the race for a top-four finish in the Big Ten and the Big Ten Tournament double-bye that comes with it. Baylor would take joint possession of first place in the Big 12 with a win here. After starting the year 9-6 and falling out of the KenPom top 50, this seemed impossible, but the Bears have ripped off six straight wins, including double-digit victories against Texas Tech, TCU, and Oklahoma during that span. The Bears have been more than impressive on the road so far, they are 4-2 away from home this year, and 3-0 during this stretch. They take on the best ten loss team in the country in Texas. The Longhorns are 12-10 but still sit in a pretty good position for the big dance due to their #11 SOS. UT has lost six of their last eight, but does hold a win over Kansas by ten in that span. This is a tough decision given the home court edge for Texas, but I’ll ride the hot hand and Baylor, let’s just hope they don’t burn me. Minnesota currently ranks outside of the KenPom top 50, but Richard Pitino and the Golden Gophers still sit in a pretty good position for the big dance. Anybody that finishes over .500 in the Big Ten this year is getting in just because of how strong the league is, and the Gophers have proven to be awesome at home this year, 11-1 on the year with wins against Iowa and Nebraska included. They also beat Wisconsin earlier this year when the two teams played in Madison, yet, despite all that, I’m taking Wisconsin here to pick up a huge road win. That Minnesota loss came during a streak when Wisconsin went 1-5 against top 300 teams in the span of just over a month, but since then, the Badgers have hit their stride, winning five straight by an average of 11.4 points, including wins against Michigan, Nebraska, and Maryland. I’ll ride with the hot hand and pick the Badgers. Houston has been one of my favorite teams to watch this year, its a shame they haven’t gotten as much national attention because of the conference they play in. The Cougs rank 15th in the NET right now and seem to be on track for a top-four seed, but they run into a UCF team desperate for a win to add to their bubble resume. When you play in a conference where these types of opportunities come rare, you have to make the most of it. The Knights still don’t have that resume-defining win, and while this could be it, I just can’t pick against Corey Davis and Houston right now. The Cougs avenged their only loss of the season last Thursday, beating Temple 73-66, their sixth straight win. UH has proven they can win away from home this year, and while a win here would probably be their best of the season, I have confidence that they can come through and pick up a seventh W in a row. Iowa seems pretty safely in the field right now, but this Indiana team is desperate for wins, sitting right on the bubble and needing some resume boosters after they lost seven games in a row, including losses to Northwestern and Rutgers. They finally broke that streak on Saturday, beating the best team in the conference on the road with their #2 player out for most of the game with an injury. The Hoosiers have been weird to say the least this year, and one awesome performance isn’t going to earn my confidence back. Iowa has won six of their past eight, including a 15 point win over Michigan on Friday, and they’ve proven they can win away from home so far this year (5-3 in R/N games). The Hawkeyes are probably the best team you haven’t watched this year given their big win was on a Friday night, but they are good and will deserve some adulation if they can pull off their seventh win in Big Ten play here. We are nearing the point where getting just one bid in the NCAA Tournament is becoming a real possibility for the Pac-12. It’s looking like Washington will get in, and Arizona State sits on the bubble, but a win here for Arizona would give the Pac-12 a third, perhaps long shot, candidate to make it into the tournament. Arizona ranks 68th in the NET, and is currently 4-8 vs Q1/Q2 teams, with no bad losses. The Cats’ only Q1 win this year came in mid-November, a five point win over Iowa State in Maui, this would be #2, but I just can’t call for the upset here. Arizona hasn’t won a game vs a KenPom top-68 team since that Iowa State game in November, their only such win of the season, and Washington has won 11 straight, eight of which have came by double digits. I’ll take the Huskies on the road, perhaps ending Arizona’s at-large bid dreams. These two teams had their first game on the Saturday after College Football ended, the first big time CBB gains fans, so it is only fitting that they have the rematch on the first Saturday after the Super Bowl, where we get the second wave of fans joining in. That game was huge for Wisconsin, the Badgers ended a streak where they were 1-5 in their previous six games against top 300 teams by beating one of the final two undefeated teams in the country by double digits. UW hasn’t lost a game since then, with wins vs Maryland, @ Nebraska, and @ Minnesota. Michigan, on the other hand, dropped a road game to Iowa last Friday by 15 points in what was an embarrassing performance for John Beilein’s team. This game isn’t on the road though, and Michigan hasn’t lost a game at home all year. This will be slow-tempoed, so if that isn’t your thing watch Virginia Tech-Clemson or something, but it should be close till the end. I’ll take Ignas Brazdeikis and the Wolverines to get their revenge and finish the season series at 1-1, but if Wisconsin can pull the upset here the Badgers would certainly enter themselves into the conversation for Big Ten champion. Kentucky hasn’t lost a game since January 5th, a two point road loss to Alabama, and they haven’t lost a game by more than two points since the opening night of the season in that embarrassing performance against Duke. This game against Mississippi State will open up a tough stretch for the Wildcats though, as they play the rest of the top five teams in the conference in a five game span. The Cats murdered MSU 76-55 when these two teams played at Rupp earlier this year, and while it should be closer when they meet in Starkville, it won’t be enough to change the winner. Give me Big Blue. Auburn is one of those teams where I see their KenPom rankings and go “ehhhh, I don’t know.” The Tigers are 1-5 in Q1 games this year, but they’ve won three in a row coming into this one (all at home against sub-35th ranked KenPom teams). They travel to Baton Rouge to face an LSU team that is 11-1 in their past 12 games, with the only loss coming by one to Arkansas. To be fair, they’ve played just one top 35 team in that span, but they beat them on the road. LSU has been in plenty of close games this year, including four overtime affairs, and I think this one adds to that total. Expect some high paced action with both teams shooting at will, but in the end I’ll take the team with the best player on the floor (Tremont Waters) at home, and that’s LSU. The Big East is filled with a bunch of mediocre teams that these two good teams have been beating up on all season, but both of their AP rankings are fairly over inflated because of it. Villanova somewhat deserves the attention, winners of 11 straight, but I’m less sold on Marquette. The Golden Eagles are 4-4 against the seven toughest teams they’ve played, and got swept by St. John’s. It isn’t their fault they they play in the Big East, but it is a little worrying that the Johnnies are the best team they’ve played this calendar year and they lost both times they played, and by a combined 21 points. That is why I’m picking ‘Nova on the road here in a tight one. The Wildcats have hit their stride after a tough start to the season, and their only two losses in the past two and a half months came by a combined six points. Villanova did beat the same St. John’s team that Marquette has struggled against, and I’ll go against the grain here and pick Jay Wright in what will be considered an upset. The Big 12 has been the weirdest conference in college basketball this year, and Texas Tech and Kansas, thought to be the class of the conference, sit tied for 4th and 5th right now as we sit halfway through the season. Oklahoma, after flashing in the non-conference (12-1 in non conference games, against the #16 NCSOS), has dropped to 38th in KenPom after a 3-7 start to Big 12 play. The Sooners have lost each of their past three, including one to a sub-100th ranked West Virginia team that will certainly hurt their resume. Texas Tech hasn’t been great recently, but they did beat that same West Virginia team by 31 on Monday. Jarrett Culver might low-key be the best player in the conference, not Dedric Lawson, and I think he leads the Red Raiders to a win on the road. The race for the #4 spot in the ACC and the double-bye in the ACC Tournament that comes with it is really tight right now between Louisville, Virginia Tech, and Syracuse, but Florida State could join that conversation with a win here. The Seminoles have won four in a row including an 80-62 road win over Syracuse that certainly made me a believer in the Noles. Honestly, this one could go either way, but I’ll go with the home side in Florida State. Their only loss this season at home was by two against #2 Duke, and I think they continue their streak of being awesome at the Tucker Center and pull out a win here against a really great Louisville team. These two headlined the first college basketball Saturday after college football season ended, and now here they are headlining the first one after the Super Bowl. This has been college basketball’s premier rivalry in the past few years, with their past four meetings being decided by a combined 15 points. Both of these teams have *averaged* a top ten finish over the past five years, have together won three of the past five ACC championships, and have combined for six top-two seeds in the big dance over that time frame. Essentially, these are two of the modern blueboods of college basketball. In the matchup earlier this year, Duke led for most of the game by single digits and ended up winning by two at home, without PG Tre Jones. Now, the roles are reversed, as the Cavs get the home court advantage, and in a somewhat eire situation, Virginia star PG Ty Jerome is day-to-day with a back injury, and was absent for a 56-46 win over Miami on Saturday that was a lot closer than it should’ve been for much of the game. After that game, I moved Duke up to #1 in my power rankings (Twitter: @Crazysportdude), although the Blue Devils subsequently went out and struggled against Boston College, at least for a half. I’m not really sold on any team in America as a #1 right now, but Duke is the closest for me, and even if they lose a close one here, I’ll still keep them at #1, similar to how I left Virginia at #1 after their two-point loss @ Duke earlier this year. In the Januarymatchup, Virginia got beat at what they do best. The packline defense is designed to stop teams from driving and force them to shoot threes, and given Duke is one of the worst shooting teams in the country (307th of 353 from deep, just 30.8%) it seemed like a good strategy, but the ‘Hoos got beat off the dribble again and again by Zion and RJ Barrett. I have confidence in Tony Bennett that he can gameplan and fix a lot of the issues that UVa encountered in that game though, and the Wahoos shot at less than half their season average from three in that game. With the home court advantage, tape to gameplan off of, and (statistically speaking) a better night from deep, I’ll take Virginia to avenge their only loss of the seaosn so far and knock off the Devils. You probably haven’t watched a lot of Pac-12 basketball this year because the conference is garbage, but if you were going to watch a game I’d recommend this one, as the class of the conference, Washington, goes on the road to face the conference’s #2 team and likely it’s only chance at an at-large bid (other than in a potential bid-stealer scenario): Arizona State. The Sun Devils currently rank 74th in the NET (ouch) but are 3-1 in Q1 games. However, Q3 losses at home to Princeton and Utah as well as @ Vanderbilt and a Q4 loss at home to Washington State (BY 21!!!) really tamper the resume. They get the home court advantage here, but just lost to the KenPom #200 team at home by 21, so I can’t in good conscience pick them to pull the upset in this one. Both of these teams have run into cold streaks in the past month or so. Ohio State has won just three of their past nine, Indiana has won just one game over the same span, although it was on the road against the best team in the conference. Ohio State is in pretty decent position for an at-large bid due to their non-conference play, but Indiana sits right on the bubble right now, and cannot afford a ninth loss in a ten-game span. The Hoosiers have the home court advantage, but it is really hard for me to pick a team that is on that cold of a streak, and Ohio State proved they can win on the road with a double-digit victory over Nebraska in Lincoln a couple weeks ago. Give me Ohio State on the road in what will be considered a slight upset. Next Story → College Basketball Picks Week 15 – Virginia-UNC, Kentucky-Tennessee, and More!